Hong Kong has made vast economic strides over just a few decades, catapulting it from a developing economy into an attractive, affluent global player. However, because of its largely finance driven economy, Hong Kong has not been immune to the financial crises of recent years. In spite of this, Hong Kong’s population of temporary working expats – those working in temporary roles or assignments rather than relocating permanently – continues to increase. 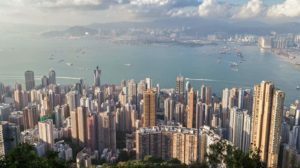 With a growing demand for professional skills in the area, HSBC’s latest Expat Explorer Survey found that expats who have moved to live and work in Hong Kong report up to a 58 per cent increase in disposable income as a result. It’s easy to see why Hong Kong is such an attractive destination for expats looking to further their careers in the global economy, but what about the finer details? What is life truly like for expats living and working in Hong Kong? Hong Kong is a global hub for trade and finance, with many large international companies choosing it as their regional base. However, these sectors aren’t quite the lucrative expat opportunities they used to be, particularly as the golden relocation packages which covered the cost of housing, schooling and flights back home are becoming a thing of the past. Expat jobs aren’t as easy to come by as they once were, due to new legislation requiring companies to prove that the role cannot be filled by a local before employing an expat. But this hasn’t stopped plenty of people from relocating, with most foreign residents at present originating from European and other Eastern Asian destinations and 78 percent of expats finding full-time work here, compared to a global average of 61 percent. One option for obtaining an expat role is to seek a transfer to the Hong Kong office or regional branch of your current employer. However, if this simply isn’t a viable option, then securing a role before you make the move is the next best method. Your new employer will then be responsible for sponsoring your visa and guiding you through the application process. Up to 90 percent of Hong Kong’s GDP comes from the service sector, according to research, with industries such as banking and finance, law, accounting, Human Resources, ICT and e-commerce presenting the best job opportunities. As well as offering the most employment opportunities, these sectors also offer some of the highest paying roles in Hong Kong: an HR & Administration Director could expect to earn HK$1-1.5 million, or a Chief Financial Officer could expect to earn HK$1-2.5 million. English is widely spoken as a business language in Hong Kong but knowing Cantonese will certainly put you at an advantage. If working on your Cantonese is something that will have to wait until after you have relocated to Hong Kong, investigate job opportunities in expat-run businesses. Equally, setting up your own business in Hong Kong can be an attractive option thanks to the low corporation tax rates. Hong Kong is often noted as having some of the lowest tax rates in the world. This is something which has long attracted expats, who hope to benefit from a combination of generous salaries and low income taxes. Whether you truly reap the benefits of an improved salary and lower taxes will entirely depend on where you are relocating from and what the cost of living there is like. As an example, the cost of living in Hong Kong is said to be 10 percent cheaper than London, roughly comparable to living in Paris and around 13 percent cheaper than living in New York City. What is clear from any comparison made to major cities around the world is that Hong Kong comes out on top for being the most expensive city to purchase or rent property in. If you’re not earning an executive level salary though, it is still possible to live comfortably within Hong Kong. Hong Kong benefits from both a public, government-run healthcare system and a private one; both are considered to be of a very good standard. The government provides public healthcare to all residents of Hong Kong regardless of whether they are temporary or not, so long as you have a valid expat visa and Hong Kong ID card, you’re eligible for public healthcare. Because the fees for public healthcare are moderated by the government, they don’t tend to be too extreme. Oftentimes, a healthcare package is included in an expat’s benefit scheme by their employer. However, it is wise to take note of what this does (and does not) cover because it varies from company to company. Private healthcare is also a popular choice amongst Hong Kong’s expat community because waiting times can be shorter, and the quality of service is perceived to be higher too. Private healthcare fees, certainly in comparison to those of the public system, can be exceedingly high. It may be worth investigating expat health insurance, either to completely cover your healthcare needs, or to supplement the package provided by your employer where necessary. Relocation to any new destination is always going to have its advantages and disadvantages, and weighing these up is an important consideration ahead of any move. Hong Kong has an increasingly transient expat population, making it a welcoming and attractive destination for those looking to further their career on a global platform. 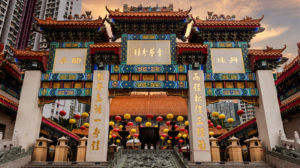 Want more hints and tips on moving to Hong Kong?